KuCoin is one of the newer cryptocurrency exchanges to be found online and has grown in popularity since being founded in 2017. The platform is based in Singapore, but also has offices in China, Thailand, Bulgaria, and the Philippines. This platform supports a great range of cryptocurrencies and tokens including its native KuCoin Shares (KCS). Holders of KCS get access to some special features such as discounts and bonuses. We will discuss these features and much more, in the following KuCoin review. 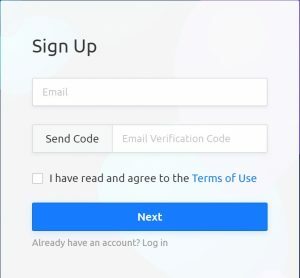 Setting up an account on KuCoin is a pretty smooth process. First, you enter and confirm an email address, and after that, you will be able to create a password. To deposit money, Google 2-factor authentification or SMS verification needs to be set up and a trading password needs to be created. This is necessary to create a deposit address on the platform. Until recently fiat deposits were not possible, however, since partnering with Simplex, users are able to purchase cryptocurrencies with Visa and MasterCard in over 100 countries. The platform currently supports purchasing with USD and EUR only. At the moment, SMS verification is available in 9 countries including the USA, Canada, China, UK, India, Indonesia, Turkey, the Philippines, and Thailand. Users can fill out the optional KYC form as an individual or a company by entering some personal or company information. There is a limit for unverified users with withdrawals capped at a maximum of 2 bitcoins per 24hr period. The exchange platform itself is modern, clean and simple, making it easy to get around and understand. Choosing the desired trading pair will take you to the exchange platform which is pretty standard containing everything that you need, such as an order book, charts and so on. KuCoin offers 4 types of orders: limit order, market order, stop limit order and stop market order. However, before making any purchase you need to create a trading password. This is a feature new to KuCoin – a six-digit password used for withdrawals, transactions, and API creation. You have to enter this password before placing a trade. Once you enter the password, you won’t be asked to do so again for the next 2 hours. It can be a little bit irritating, but it adds an extra layer of security. KuCoin exchange supports almost 400 live markets and users can choose crypto trading pairs including BTC, ETH, KSC, NEO, DAI, SC, USDT, PAX, TUSD, and USDC. Smaller withdrawal amounts are usually processed very quickly and can be completed in a few seconds, while larger amounts can take up to ten minutes. Deposits take about two minutes to be completed. KuCoin offers low and transparent fee structure. A trading fee of 0.1% is charged, which is much lower than some of their competitors’ offering such as Coinmama and Bitpanda. Withdrawal fees and minimums can vary depending on the currency and amount. For example, when withdrawing Bitcoin or Ethereum, fees are just 0.0005 BTC or 0.01 ETH and minimum withdrawals of 0.002 BTC and 0.02 ETH apply. Additionally, for some currencies such as GAS and NEO, there are no withdrawal fees. Cryptocurrency deposits are free, while Simplex charges 5% on fiat deposits. It’s also important to mention that KuCoin keeps only 10% of trading fees. The remaining 90% is divided between the Invitation Bonus program and users that have KCS in their accounts. The main benefit of holding KCS is that the users have access to a Trading Fee Discount. Currently, each user that holds at least 1000 KCS will receive a 1% discount. The discount percentage increases in this ratio until it reaches a maximum of no more than 30%. This means that users holding 30.000 KCS will get the maximum trading discount of 30%. KuCoin uses the latest encryption technology and their team takes all measures necessary to ensure user data and funds are kept safe. We mentioned earlier that no trade, withdrawal, or API creation is possible without a trading password. If a trading password is changed for some reason, withdrawals will be disabled for the next 24 hours after the application is approved. The platform also supports 2FA Google verification, which is strongly recommended. On the dashboard, you will find a history of your previous logins and you will receive an email every time you sign in. You can also check their regularly updated Account Security section for recommendations on how to avoid phishing attacks and measures you should take to ensure your account is secure. According to KuCoin, the sensitive data exchanged between users and the platform is encrypted and protected with digital signatures. Moreover, all personal user information will be deleted or made anonymous as soon as such details are no longer relevant or required. KuCoin’s customer support is outstanding. Their team is highly professional and will respond within minutes. Most of the things you need to know can be found in their FAQ section. However, if your problem requires assistance, you can contact user support via online chat which is available 24/7 or via their ticketing system. 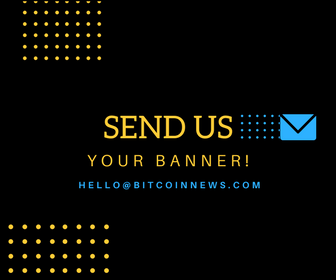 They are also active on Twitter, Telegram, Reddit, and Facebook where they can be contacted in about 7 different languages. As we have already heard in this KuCoin review, the exchange is still new and some people may be sceptical at first. But so far, KuCoin has proven itself a reliable platform, with a team of professionals there to meet customer needs. The simplistic interface is modern and easy to navigate, which makes it suitable for beginners. Fees are low in comparison to some of their competitors and their fee structure is simple with no hidden costs. The small number of accepted fiat currencies and limited SMS verification availability may turn some users off the exchange. However, as they demonstrated with their recent improvements and partnership with Simplex, KuCoin is upgrading the platform constantly. So it is likely we can expect more fiat options and better SMS verification availability in the near future. If after reading this KuCoin review you would like to try out this new exchange, you can sign up here and open an account. Equally, you can have a look at our other reviews here. Disclaimer: Bitcoin News does not provide any warranties towards the accuracy of the statements in the above KuCoin review. Any content on this site should not be relied upon as advice or construed as providing recommendations of any kind. It is your responsibility to perform your own research of the platform. Trading and investing in cryptocurrencies involves considerable risk of loss and is not suitable for every investor.